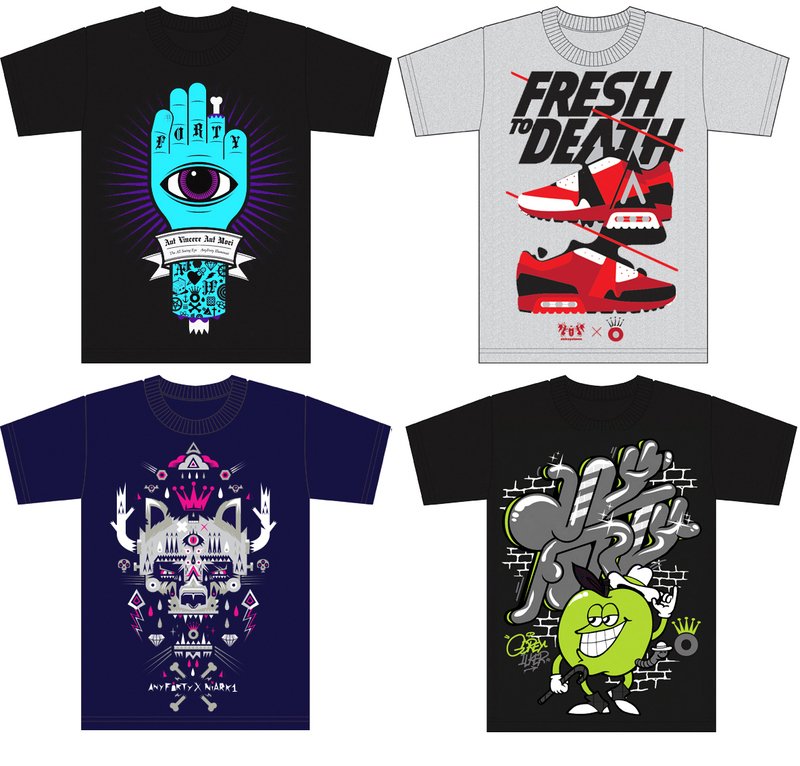 Here’s a sneak peak at some designs we’re playing around with for a possible refix range,. It’s basically a tee from our previous range reworked in a new colourway. and released at a random stage throughout the year, no autumn/winter/spring/summer range to work to, you check the store one day and it’s just there!!! None of the designs shown or colourways are finalized, just leaking some ideas for your eyes. Are there any tee’s we’ve done that you’d really like to see in a new colourway? This entry was posted on August 5, 2010 at 4:33 pm and is filed under Work In Progress. You can follow any responses to this entry through the RSS 2.0 feed. You can leave a response, or trackback from your own site. Alan, I would love to be able to snag one of the Death to Fresh shirts! Please re-print! Fresh to Death in Yellow, Purple and Red! !